I reserved a unit online in late October for $49. Cashier charged $69 for the unit I reserved. I informed her and showed her the confirmation as well as the website price showing $49 but she stated her computer only allows to put $69. She tried arguing saying the price on their sheet says $69 but when she showed me the in store price listing it also stated $49. I asked about the first month free which she stated I needed to pay the remainder of October and all of November which means December will be my first month free. Not sure how that made sense but I paid both remainder October and for novembers fee. Come December, I was charged and when I called the women didn't know anything and requested I call during the weekend. So, the price advertised both online and in store were not followed and neither was the first month free. False advertisement! 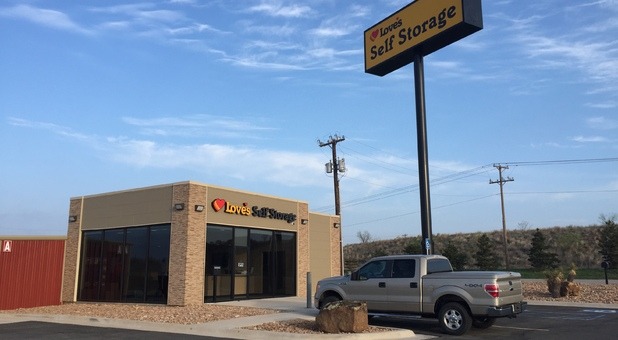 This is a brand new storage facility that is located right behind Love's Travel Stop on I 20. It has a large variety of sized in climate control and drive up. It even has Boat Rv covered parking. The managers are very helpful and friendly and there is a large variety of boxes, tape, and packing supplies. You get your own code to go in and out of the gate and all the drives are paved! A very nice place to put your stuff!